Give yourself some “M.E. Time!” (Machine Embroidery Time!) with a new series of embroidery projects by Kimberbell Designs. These in-the-hoop "pocket tags" include 3 designs -- each for a 4x4 and 5x7 hoop size. 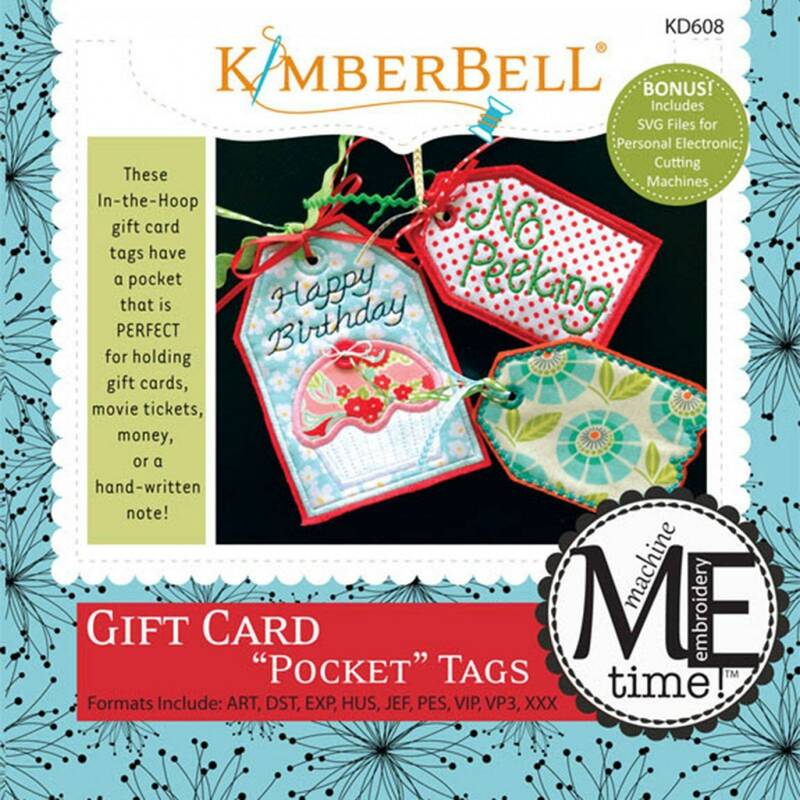 Designs include a "Happy Birthday" tag, "No Peeking" tag, and a "Blank" tag that is great for personalizing. 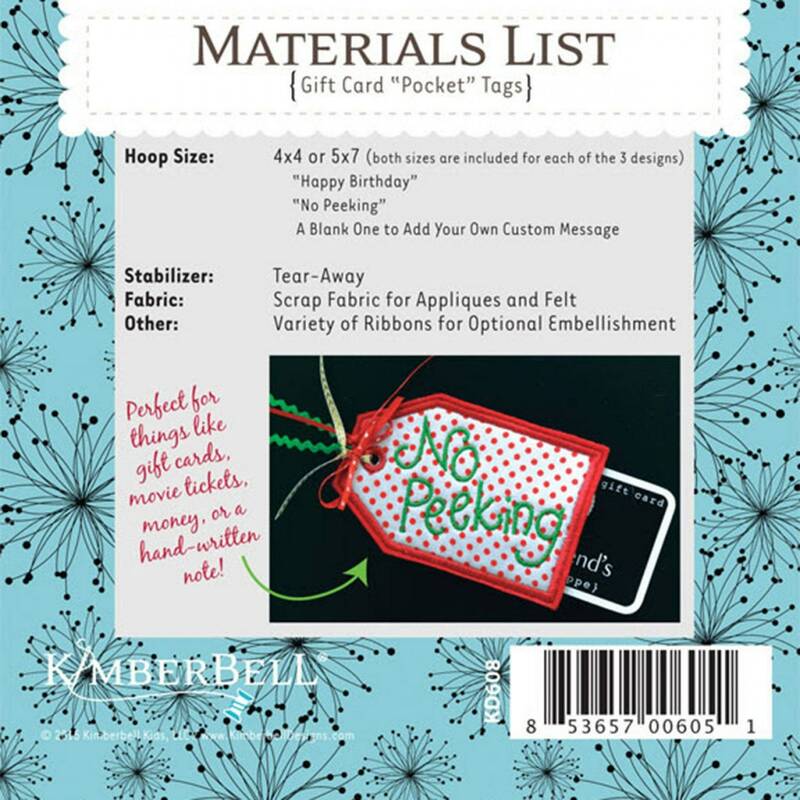 The fun part of this appliqué project is that each includes a "pockets" that is perfect for fitting a gift card, movie tickets, money, or a hand-written note! Bonus SVG files are also included on the CD if you’d like to do your applique with an electronic cutting machine.